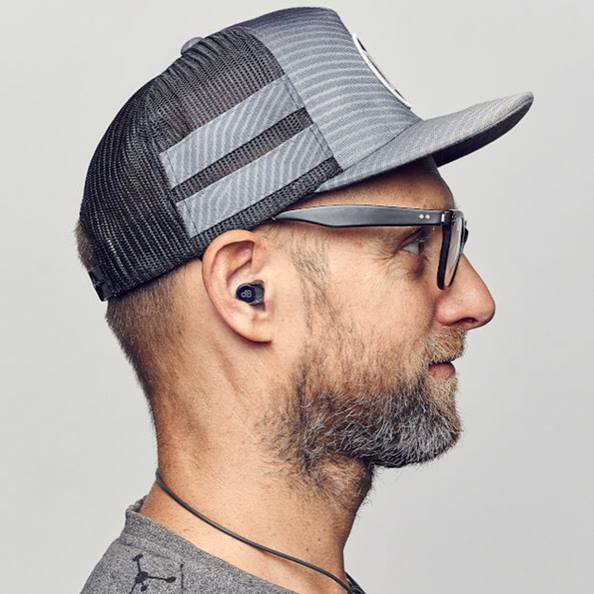 Christian Dittrich is the founder and CEO of Ear Labs, a company from Sweden which is behind SurfEars, a popular product for surfers. Listen podcast on iTunes, Spotify or Soundcloud. Bruno Muchada Suarez is a global director of Selina Surf Club which is a surf division of Selina - a global hospitality brand focused on millennial travellers. Bruno started a couple of surf related businesses before joining Selina: a surf hostel in Morocco and a consultancy company for hospitality industry, just to name a few. Thanks CanaryRide for the venue to record this episode. In the second Surfpreneurs podcast James interviewed Jack Candlish from Organic Dynamic. 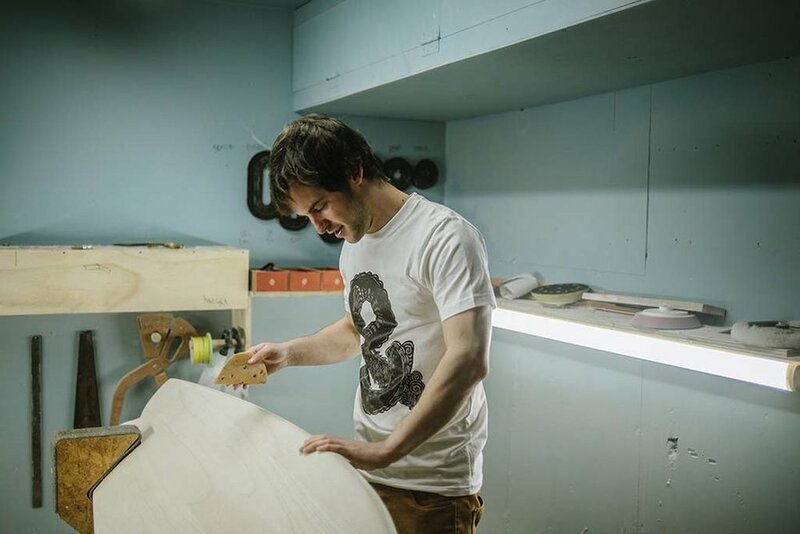 They discussed how Jack started this kiwi surfboard brand as a side project and how it later a while became his full-time job. The first (and very improvised) version of the Surfpreneurs podcast was recorded with Christoph Zingelmann. You can listen the episode here, it was fun! Germany isn't normally a country you immediately associate with surfing, but at least one 🇩🇪 German surfer now makes his living from his passion. Julian Siewert from Surfnomade came along to Surfpreneurs 2016 to see how it could help him out and ended up seeing a 20% increase in his 💰 revenues from insights learned during the camp. Surfnomade is currently the biggest surf blog written in the Germanlanguage. The aim of my blog is to inform the growing community of German surfers about how to travel the world and get to know the world’s best-surfing destinations. In 2014 when I first started blogging about my surf travels I had no business plan or any specific traffic goal in mind. I simply wanted to find a way to combine work and my passion for the ocean. But things eventually went really well and I realised that there is a huge demand for surf related information in German. My readership grew rapidly and last summer I published my first eBook about the surf destination Portugal. I hear you travel around the world surfing now for work, how does that happen? Yeah, that´s true. I actually need to travel a lot to do some research for new blog posts and surf travel guides. However, as a travelling surfpreneur I still spend a lot of time in front of my laptop surfing the internet instead of being in the ocean which is always an inner conflict between work and passion. Nevertheless, I am really happy about my current life style. It´s far better than my former life as a landlocked research assistant at a German university. In general, I think being a German surf blogger is a big advantage compared to international surf blogs. German travellers usually research a lot on the Internet via Google, social media in advance of their surf trips. So, because I have 20 years of travel and surf expertise, a strong online presence and personal reviews, I am enjoying the trust of a great readership of currently almost 40.000 unique site visitors per month. I understand you met Adam Bromby at Surfpreneurs 2016; how did he help you and what were the results? As a surf blogger I have a strong influence on the travel decisions of many surfers looking for potential surf camps, accommodation and other surf related services and products. However, in the beginning I had no clue how to monetise this position. But luckily I met Adam at the last Surfpreneurs event in Lisbon in 2016. 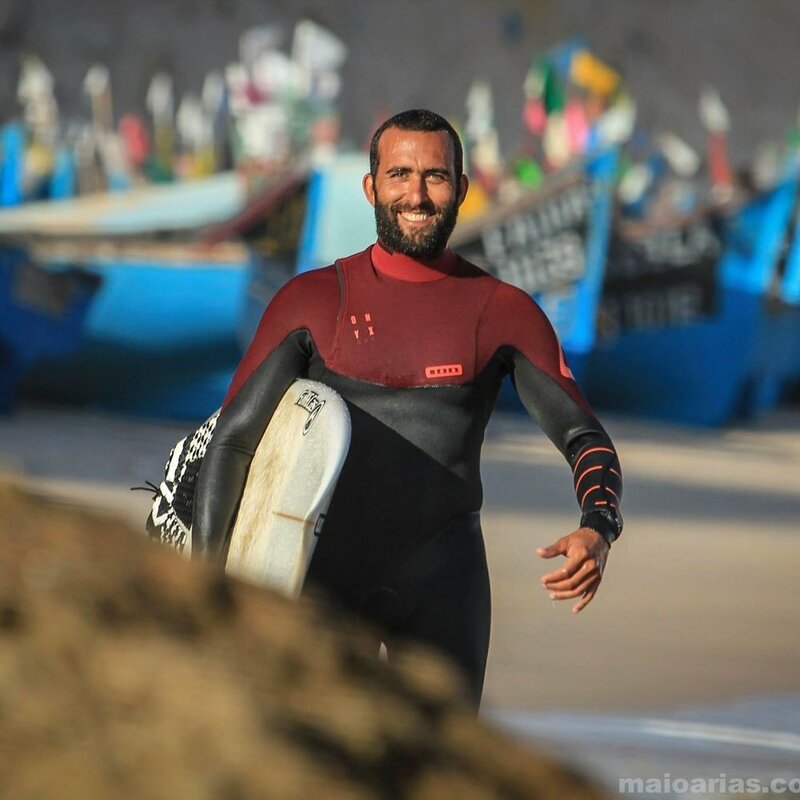 Back then, Adam was still working at one of the biggest surf camps in Portugal and he was quite experienced in the field of online marketing and co-operation with surf travel agents. That’s why he was a perfect match for me and some of the most crucial issues I had for starting co-operation with the surf camp industry. 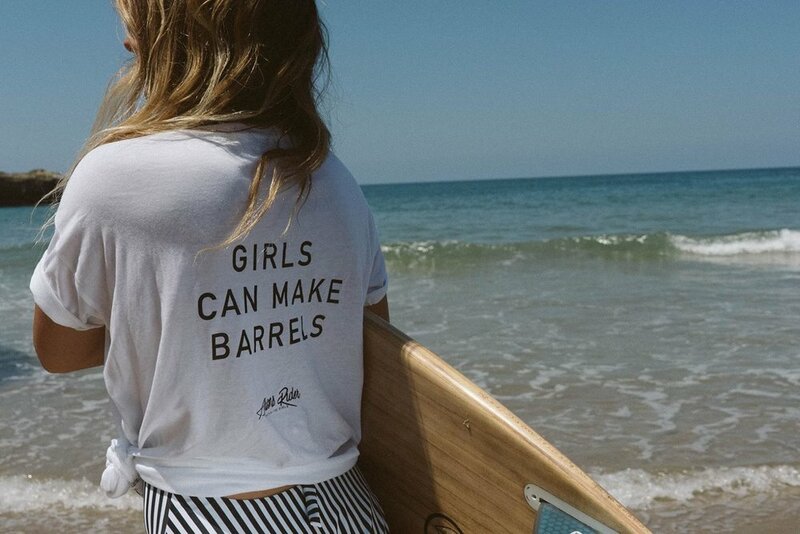 The problem was that most of the smaller surf schools and surf camps don’t have a big marketing budget. And some of them are really struggling to compete with the bigger franchise surf camp companies. So they actually were quite keen to be promoted on my blog. However none of them had any affiliate program or any other provision system in place. With Adam I eventually learned how to overcome these obstacles. With his insights and support I managed to increase my revenues by at least 20%. Thanks Julian - it was great to catch up and hang out with you and other Surfpreneurs in October too! Gutted that you were you unable to make the Surfpreneur meet up in Portugal? Don’t fret - Julian and many other Surfpreneurs are hanging out online sharing stories and inspiration - check out the conversation here! How did you come with the product idea? I broke my board in Carcavelos and ordered a new one from Lisbon Crooks. Afonso said that he had a material that was able to turn into a grip, and that it was transparent. At that point we started to try the material on my board, just as a personal solution to solve my problem. 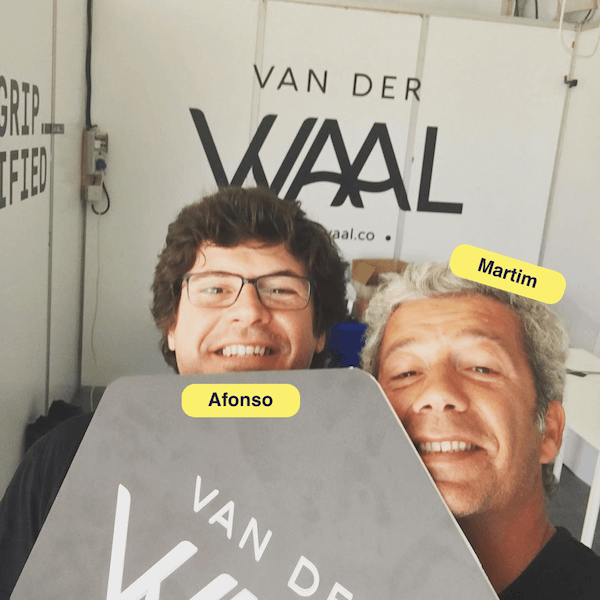 But the enthusiasm of friends with my board led us to think that this could be a business 💰, and then we started to look at the product from a different side, collecting more professional feedback, and so Van der Waal was born. So far none of us had any experience in the surf industry or even with surf communities in Portugal. After we started to do some tests with existing materials we went for a search for different materials, different shapes, and so on. In our case the most complicated part was finding a balance between traction and not being too aggressive to the feet or wetsuits. 80% of our business is done online (B2C) and to the whole world. We work with a single distributor for The Netherlands and with a few local stores in other countries, although we are starting to have more distribution business contacts. About the countries we sell most, there is no rule: we started by selling a lot in Portugal, then Spain, USA and UK, until six months ago we have been selling a lot in France, Belgium ... we are still learning and trying to understand this sales movement. It's almost like a wave... we never know where it will be the next sales spot, but when it happens, a lot of worth of mouth occurs and we start selling regularly on that spot. A curious fact is that we sell a lot more on Sundays than any other day of the week ... probably because someone spotted Van der Waal on any board and decides to buy. What is the most difficult part about distribution? Our biggest problem with distribution are the margins, which takes away a big part of our business profit. What are your plans for the next product? 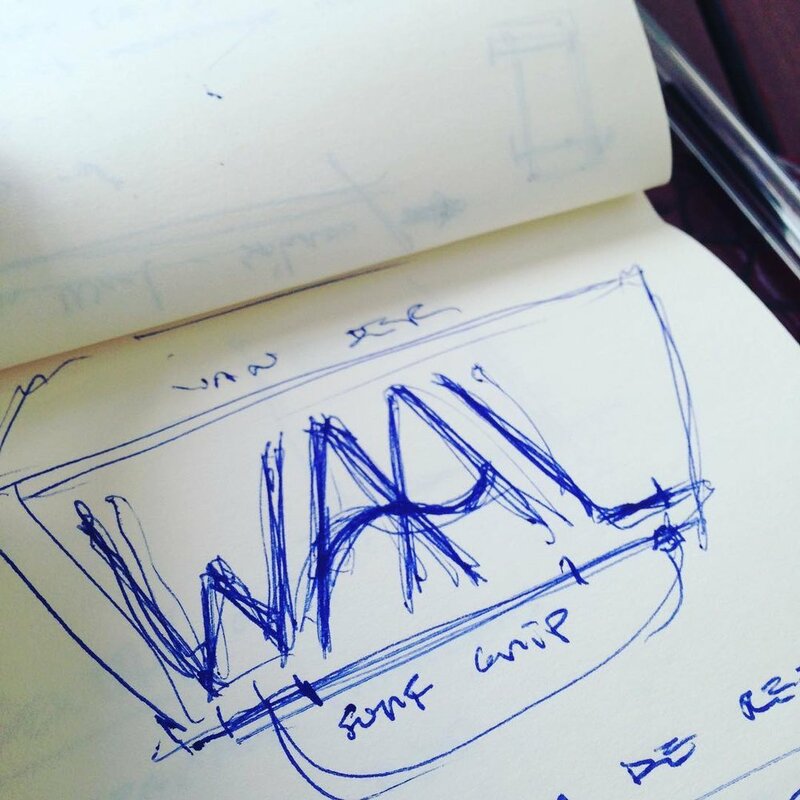 We have just released an special edition of van der Waal that smells like wax, but it's just for fun and to celebrate 1 year since our first sale. But we are testing new materials to increase the grip of the product without damaging wetsuit or skin. As soon as the new product is ready we have to decide whether to do a replacement of the current one (creating a 2.0 version of it) or keep both, to different targets... it will depend on the new product behaviour. Why did you choose Squarespace as an e-commerce platform? We have a product that needed to be explained. What I think is that Shopify has a more aggressive, more hard-selling way to work. When we launched the website I made beta versions on both platforms, with the same content, and the truth is that Squarespace allowed us to design the pages according to the messages we wanted to pass, while Shopify was a pure online store, where pages like About us or detailed info about the product are just header, plain text and image. So, despite Squarespace is not so sales-oriented, as it works as a full online store, we decided to go with Squarespace. If you could start again, what would you differently? Although we can not complain about anything, we have done 2 mistakes: In December I decided to test WooCommerce and Wordpress as a platform for the store and we realized that those 2 or 3 seconds that the site took longer to load cost us a lot of sales. And a peculiar situation, which cost us just a few tears of frustration: Last year we were invited to offer Van der Waal to all WSL athletes in Peniche. Full of goodwill, and because more than publicity we really wanted their sincere feedback, we put custom letters to everyone in front of the box, explaining that. More frustrating then receiving no feedback at all, was to see photos and videos on all social networks, with all top athletes, where our product appeared behind, covered with a white sheet (that was our letter). Personally, I find all of the Surfpreneurs success stories undeniably inspiring. Be it the healthy dose of determination to push through adversity, the certain talents that helped give that person an edge, or even unbridled passion mixed with a tad of ignorance (read also; I dont give a f**k what others say). Everyone has great stories, and consequently, lessons we can all learn. 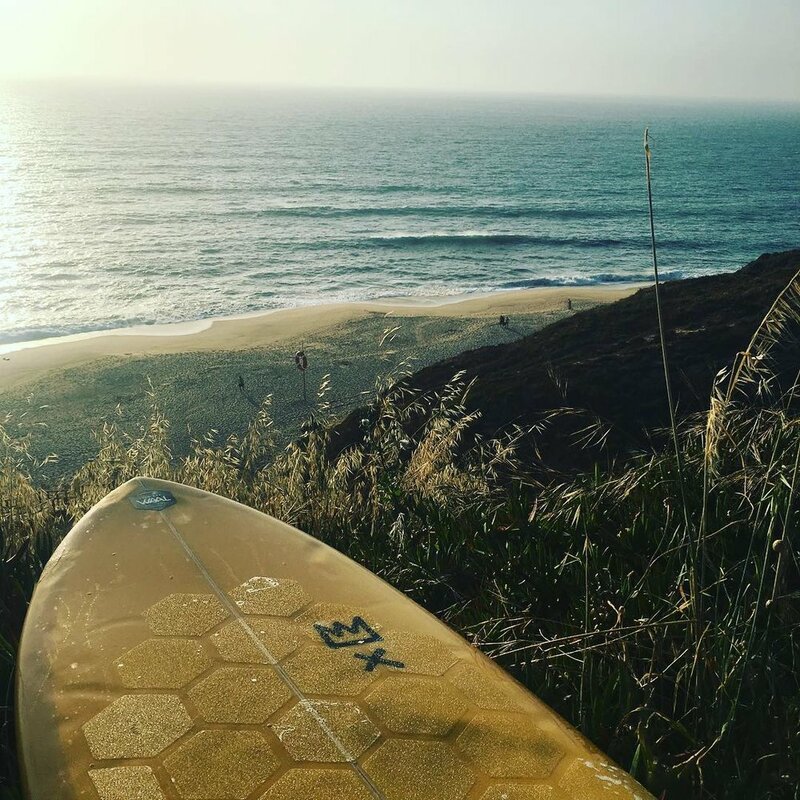 Here is a quick snippet of a story from a Surfpreneur who went from product idea, to selling out stock in 10 minutes - enjoy. French native Alexis Noyon joined the October 2016 Camp in Portugal, and at this stage, Daho Surf Co was a project yet to be launched into the open. Since then, Alexis has launched and achieved some great success, all whilst running his Casablanca based advertising agency, also. How long have you been working on Daho, and when did you launch? I started working on Daho Surf Company in summer 2015. At this time, I had manufactured a prototype and was still working on brand identity and bag designs. For about a year, I struggled with finding a supplier that could manufacture small quantities of products. I almost stopped working on Daho at some point. 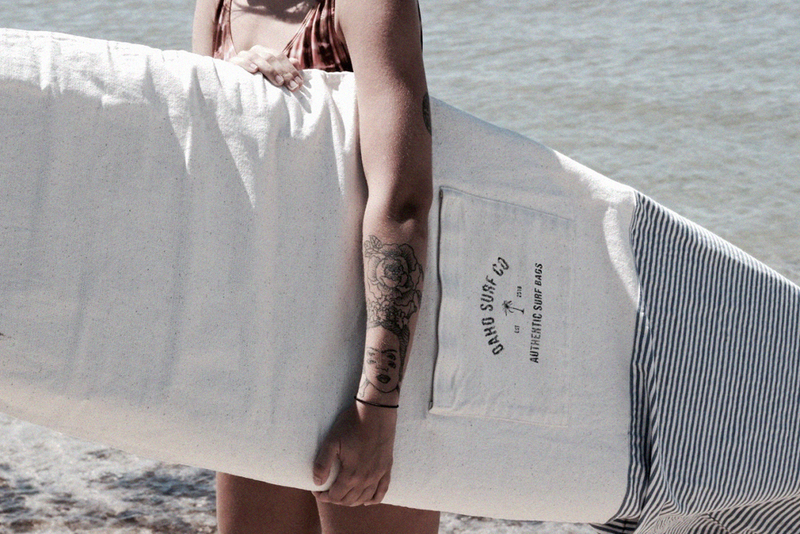 In November 2016, after the Surfpreneur camp, I found a good supplier by chance and ordered 75 surf bags and 30 organic t-shirts. We spent about 3 months finding the right fabric and design, keeping in mind we wanted Daho as eco-friendly as possible. When you launched what went well and what went not so well and importantly, what did you learn from that? What went well: we were convinced our key product to approach retailers was the surf bags and we were right. If you want to sell t-shirts, nobody will order yours since there are literally thousands of brands doing a pretty good job at low costs. However, the board bag market is almost exactly the same it was 10 years ago and retailers were curious about what we had to offer because we brought something different than what most of our competitors do. The retailers often bought some of our t-shirts to match the bags and ended up selling more t-shirts than board bags. Though it felt really good to received our first order, we were still a very long way before selling anything to anyone. We struggled for about 3 months to work on designs and raw materials, then another month on the website and Facebook, then a couple of months to get the retailers’ attention. Obviously, Daho was not our primary job. Consequently, we had a lack of time and energy to get things done quicker. Tell us a bit about the collaboration - why you decided to do it, how you chose the partner, working together to create and then building excitement to well out 30 shirts in 10mins! What was the best or main thing you took away from the 2016 Surfpreneur Camp that helped Daho and you? 1️⃣ Confidence; There are plenty of great guys with big or small ideas, related to the surf industry, ready to help each other. It was inspiring and gave me the confidence to pursue my project as well. 2️⃣ Contacts; It was actually Mario who help me find the t-shirt manufacturer (in Ericeira!). James, you helped me to find the right way to approach retailers.